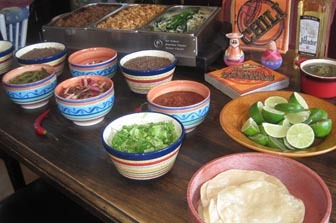 Do you know what are the real, the authentic mexican recipes? Born from the marriage of two deeply rooted cultures; colonial Spain on one side, the exotic precolumbian civilization's traditions on the other... the authentic cuisine from Mexico sometimes takes advantage of some very unusual ingredient combinations that create complex, sophisticated flavors; and when homemade with our recipes you will reawaken their original spirit. Yet most of these real recipes are still easy to make! 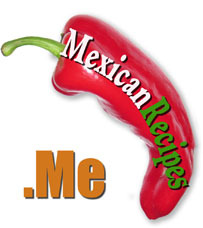 Embark with me on this culinary adventure; I will show you the best mexican food recipes, or the most traditional ones you can find, always in easy, convenient printer-friendly pages. In this site you will find classics such as the birria recipe, tinga de pollo, enchiladas, tacos, burritos, tamales, tortas and most of the well known classics! You will find that some authentic dishes from Mexico can sometimes be slightly complicated, with long ingredient lists; however surely you will agree with me that eating the food you prepare is only half the pleasure, as making it yourself can be fun and rewarding... then you also have some classic recipes such as salsas, the guacamole, tacos, some appetizers which are actually quite simple! It is always better to get started with a few homemade and simple dishes while learning this cuisine.